Taking archaeological ceramics from production, transportation, and consumption sites during the 13th to 17th century, this paper examines the changing configuration of ceramic production and trade on Chinese coast during the critical transition from the Asiatic Trade Network to the beginning of early global trade. I will explore how potter communities in China linked to emerging maritime commercial enterprise adapt to the new demands and circumstances generated by early global trade and the expansion of Iberian colonial Enterprise by making innovations to their centuries old technological traditions. 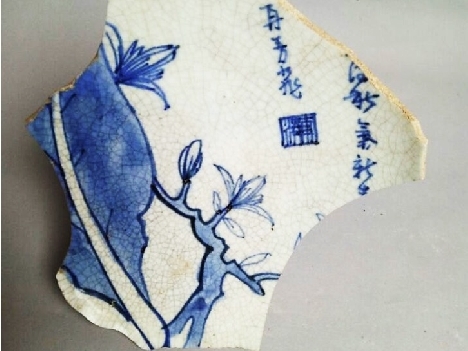 It will also explore the diverse ways that trade ceramics were incorporated into the local material culture as unfamiliar designs were brought to the potter communities in China and Chinese exports were brought to unfamiliar places along the global trade network. Li, Min (Ph.D, University of Michigan, 2008) is an associate professor of East Asian archaeology with a joint appointment at Department of Anthropology and Department of Asian Languages and Cultures at UCLA. His archaeological research spans from state formation in early China to early modern global trade network. He is also co-director of the landscape archaeology project in the Bronze Age city of Qufu, China. His first book Social Memory and State Formation in Early China is currently in production with Cambridge University Press and is scheduled to be released in March, 2018. He is working on his second book on the origin and dynamics of the Shang state in Bronze Age China.